Can you feel it? The chill of winter is giving way to the renewal of Spring here in the Bay Area. Longer days and warmer temperatures are bringing out new life in our fair state. Especially at the lower elevations that means wildflowers, and lots of them, thanks to unusually heavy rains this season. 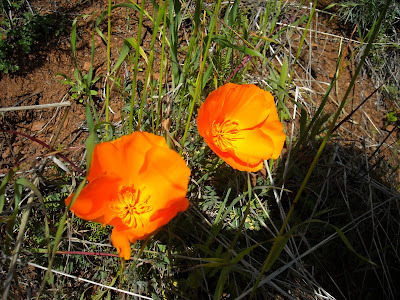 To celebrate, this week is wildflower week at the funemployment blog. Each day this week I will introduce a new wildflower currently in bloom right here in the bay area.